While ordinary heat pads can be great for warming you up in the comfort of your own home, staying warm when on the move requires something extra. The Beurer Mobile Heat Pad HK72 is a battery-powered, ultra thin heated belt that can keep you warm for up to four hours no matter where you are. Its fast heating function will warm you up in minutes, while its automatic switch-off function will keep you safe at all times. With a thin design to fit perfectly under any clothing and four hours of mobile heat the Beurer Mobile Pad is perfect to help ease aches and pains whilst on the go. The shape is perfect for helping to relief back and abdominal pains. 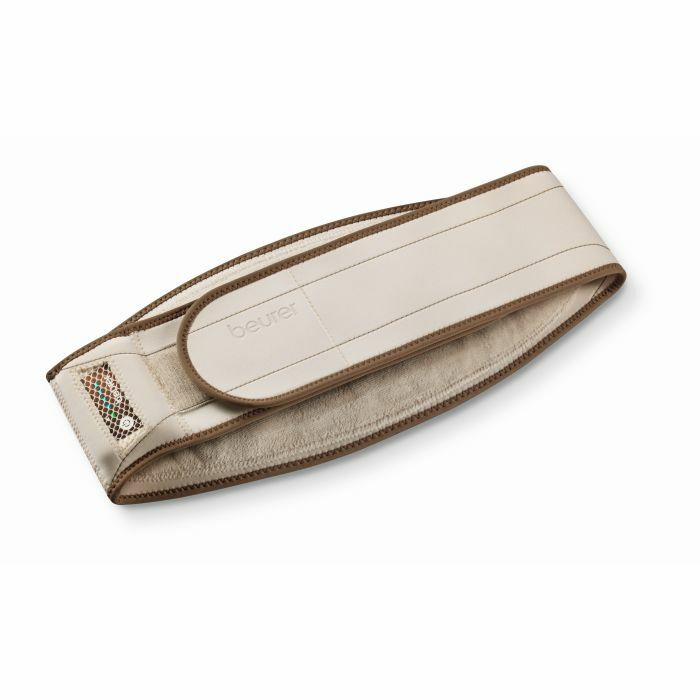 Made of a soft, cosy material that is designed to provide warmth as well as being skin friendly, the Beurer Mobile Heat Pad also offers the user the highest level of comfort with a hook and loop fastening and a wide rubber strap. Targeted heat therapy can have numerous positive effects on your body, especially if you are suffering from Raynaud's disease. Localised warmth can improve your blood circulation and provide pain relief for sore muscles, stiff joints and cramps. How Do I Use the Mobile Heat Pad? The Beurer Heat Pad HK72 comes with a lithium-ion-battery pack with a LED display for easy temperature settings and charge function. With four available temperature settings, all you need to do is select the level of warmth you prefer and, thanks to the rapid heat-up, enjoy the soothing effect of warmth right away. If you want to learn more about the Mobile Heat Pad, watch the video below. The belt does its job properly. It is comfortable and one is not aware of the battery that it carries. It gives effective heat to the back. It is an excellent product.